During the course of an average day, we spend more than half our time at home. Whether it be sleeping, eating, relaxing or even preparing to go to work or school, we are spending many hours each week in our home. While we are there, it is important that our time home is spent wisely and safely. Statistics show that more accidents occur in the home than any other place, and many of them are due to carelessness. Because of these frightening statistics, people need to make sure that the home is a safe place for people. There are many different areas of concern in the home where safety should be a top priority. Some of the areas of concern would be keeping the house safe because of fire, having a safe home for children, storage or hazardous materials and even proper storage of medicine. All of these areas, as well as others, need to be addressed in order to have a safe place to live. Other safety issues need to address keeping the home itself safe from intruders, as well as keeping personal property safe. While there are many areas of concern, it is nearly impossible to discuss all of the potential problems areas on one page. However, we have begun the process by providing a starting point for many safety topics. We hope the following information is helpful to you and your family in keeping your home safe in any situation. Please feel free to share this information with others that you know and spread the word of home safety. This page will be kept as a resource for the foreseeable future, so please feel free to visit it often. Safety at Home — Useful page which discusses a number of common household dangers and provides information on how to stay safe. My Safe Home — Web portal with information on a number of topics that are important to homeowners and others. Household Safety Checklists — Informative page with a number of resources and information on households. Home Safety — Information on many safety issues that are prevalent to homes and are a concern of homeowners. Home Fire Prevention — Useful home fire prevention tips and information to help keep people safe from fires. Fire Safety — Information in the form of suggestions on how people can keep homes and businesses safe from fire. Home Fires — Informative government resource which is geared towards keeping homes safe from fires. Safety Tip Sheets — Helpful page which contains a number of resources and tip sheets on how to be safe at home from fires. Fire Safety Tips — Web page which lists many helpful tips and resource on fire safety around the home. Home Safety — Information from the Center for Disease Control which covers many areas of concern for children around the home. Safety Tips — Helpful article which discusses many issues of concerns for children safety around the house. Infant and Child Safety — Web site which touches on a number of useful topics in the area of kid safety at home. Safety Basics — Useful information which lists some of the basic safety guidelines for kids in and around the house. Home Childproofing and Safety — Informative site which discusses many topics that parents should be concerned about with safety around the home. Household Hazardous Materials — Information from the federal government about proper methods to store hazardous materials around the house. Hazardous Materials in the Home — Useful fact sheet dealing with the proper ways homeowners should be storing hazardous materials. Safety and Health — OSHA guidelines on how hazardous substances should be stored around the home. Medicine Safety at Home — Informative article which outlines the ways that medicine should be stored at home. Medicine Safety in the Home — Helpful web page which helps homeowners and others learn about proper storage of medicine in the home. Medicine Safety (PDF) — Article which provides guidance for people on how to safety store medicines in the home and away from children. 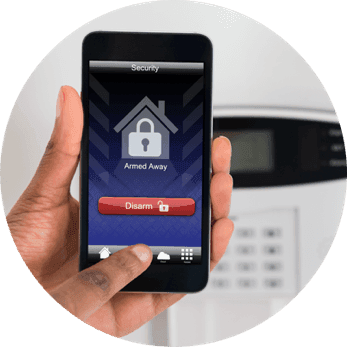 Home Security Information — Article which provides advice and tips on how people can be secure around the home. Security Tips and Tricks — Useful web page which provides some easy to use information and tactics to keep a home safe. Personal Property and Safety — Information on how people can be safe around the public and at home. Property Safety Tips — Useful online resource which contains information and tips on personal property safety. Safety Tips — Informative article on ways to stay safe from vehicle, property and other forms of theft. Preventing Home Accidents — Informative article explaining how you can help prevent home accidents for senior citizens. Home Safety for the Elderly — Useful article containing information, tips and checklists on how the elderly can be safe at home.